On Wednesday, a blast hit Sondos Street in the city of Manbij, which was crowded with civilians at the time. 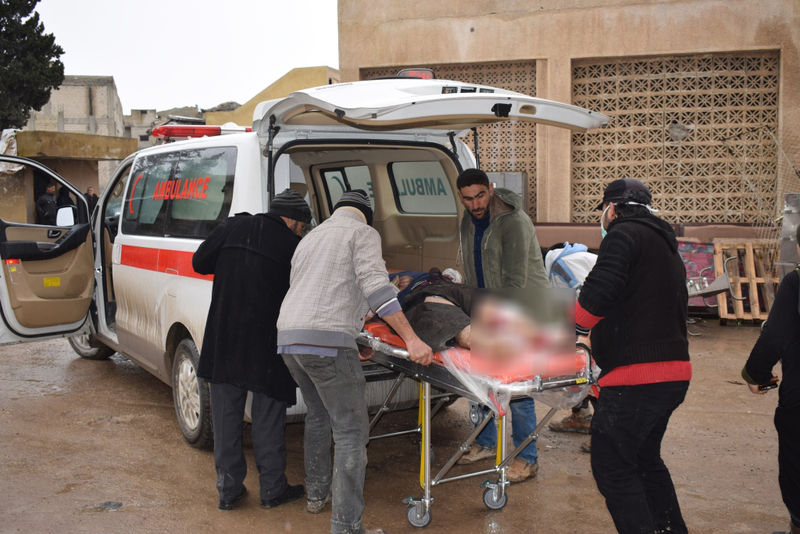 According to information provided by the Health Committee in Manbij, 13 people were killed, including three American soldiers and two fighters accompanying them. The explosion, which was claimed by the Islamic State (ISIS), occurred precisely at 12:38. Video recordings from security cameras in the shops showed the moment of the blast, when there was heavy traffic coinciding with the American patrol passing in the street. Immediately after the blast, internal security forces hurried to close off the area and take the necessary security measures. Medical teams and doctors also hurried to treat the wounded, while at the same time, American helicopters and patrols near the city headed to the site of the blast. One of the American helicopters landed in a field near the site of the blast to carry away American soldiers who had been at the scene. The toll of the blast, according to the Director of the Health Committee, Dr. Ahmed Haito, has reached 13 people, including three American soldiers and two fighters accompanying them. There were also 18 wounded, including soldiers and civilians, with five being described as in a serious condition. According to Haito, the wounded civilians were transported to Manbij city hospital. The blast resulted in severe material damage to stores and civilians’ property.